Whether and when a case settles or not depends on many factors but two are particularly important: first, the nature and extent of your injuries and, second, the amount insurance coverage that is available to address your injuries. For instance, in many unfortunate circumstances, there are very significant injuries and very little coverage to compensate for those injuries. In those cases, the settlement can occur very quickly, but be less than satisfying. On the other hand, where the damages or injuries are significant and there is also significant insurance coverage to address those damages, the case can tend to take some time. There are financial reasons why that is the case. 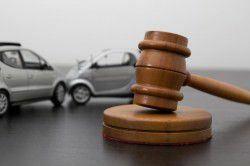 if your case is worth a significant amount of money, the insurance company will delay settlement so as to maintain those funds in their account. There is little financial incentive for them to rush the settlement. Our job as your attorney is to push them and force the issue as aggressively as possible. There are things that the attorney can control in the process and things that are beyond your attorney’s control. For instance, the initial investigation and follow-up consultation with you are entirely within the attorney’s control. Is your attorney moving quickly to gather medical bills, to assist you in submitting those bills, to gather police reports, 911 tapes, and witness information? Has your attorney kept you informed of progress and consulted with you on your settlement options? If not, you may have the wrong the attorney. One issue that your attorney cannot control is the pace of your recovery. Your recovery may delay the settlement process. While a full recovery is not necessary to settle a case, it can be important to understand your prognosis in evaluating the proper scope of damages.